Are Customer Purchasing Decisions Ever Rational? In this article, we outline how big data can tailor multi-channel marketing for emotional decision makers. There are a number of factors that affect consumer decision-making, all of them given more or less consideration by different individuals depending on their current situation. Anticipating every aspect of the buying process can be daunting, but analysis of big data can create effective marketing. Consumers would like to consider themselves as rational decision-makers: weighing up the pros and cons of a product against a competitor’s offering and then making an informed decision on what works best for them (which may not necessarily be the same as another customer’s). Some aspects, such as price or brand affiliation, will factor more highly than others in different situations: a customer, for example, may purchase budget earphones for a morning run, but are more likely to spend ten times the amount if buying a birthday gift. Incorporating individual differences and varying circumstances may be complex, but they suggest a number of variables that can be compared to produce a rational response. Right? Well, maybe not. Despite considering every aspect of a purchase, it turns out we consumers will just go with our gut anyway, and then use these other factors to justify our buying it. Plumped for the Toyota over the Renault? You might argue that the Toyota’s fuel economy is worth more than Renault’s lower mileage, but it’s more likely that you preferred the look of the Toyota and its features to present yourself as a rational consumer. Emotional decision-making makes sense, but it’s hard to predict. So how can we accurately market a product based on preferences and feelings? Marking a shift from “The Industrial Era”, marketing must focus on the human experience. Rather than selling objective advantages, products must now exemplify their brands by promoting an authentic and consistent story in order to create an emotional connection with the potential consumer. It’s much more subtle and ultimately more rewarding than simply identifying a need and offering a solution, which can often feel generic. So rather than dividing your audience into groups, consider them as “segments of one”, that is, treating each individual as unique. It sounds complex, but it makes sense: rather than throwing out the same message to an infinitely varied audience, each customer receives tailor-made marketing materials. With this personalised touch, consumers are more likely to become loyal customers, particularly when decision-making is emotional rather than rational. Check out Amazon or Facebook: How much of the content marketed to you is oddly specific? Not even items you’ve looked at before on their site, but similar products from external sites, or even products it thinks you might like (and, more often than not, you do). This is segmenting: Using Big Data to examine the things you have bought, but products you are likely to buy, and, more intricately, products that you might like based on what other people like you have bought. This demonstrates both individual and group leverage in segmentation: Websites and apps learn more about you as an individual the more you interact with them, and they also learn about similarities in purchasing. For example, maybe a lot of people who buy Quentin Tarantino DVDs also bought a bottle of a certain brand of aftershave. So, if you purchase a Quentin Tarantino DVD, you might find yourself with an advert for that particular aftershave. Websites can track users so that when they return, they’re reminded of the items they were looking at before. Clothing sites often have a ‘Take Another Look’ tab, as well as ‘You May Also Like’, which is based on other customers’ viewing history: both individual and group leverage. 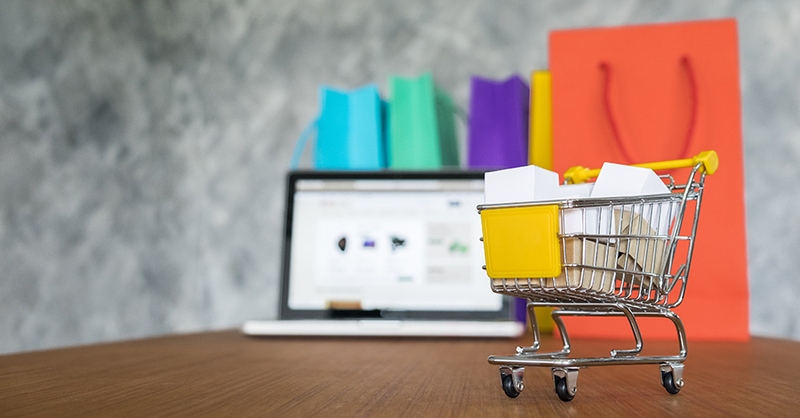 Customers are not only presented with a second chance to buy something they were interested in, but are also given other choices based on similar shopping patterns by other consumers. Homepages like Amazon’s also create a tailor-made experience as soon as you enter, with suggestions based on past purchases. Regular emails with tailored deals – those speakers you were looking at have dropped by 20% – are a great way to encourage emotional decision makers to buy. Maybe the speaker was way out of budget before, but now it’s only slightly out – and it’s a bargain, so you better grab it before the price increases again. And using group leverage is a way of bringing a product to a consumer who might not have considered it (but are likely to be interested in it). You check out a PC online, and next time you log on to social media, there’s a reminder that the store you viewed it on is offering free delivery for the next twenty-four hours. Use big data so that even when a consumer is no longer considering their purchase, there is a targeted ad that draws them back in. Even for inexpensive purchases, a prospective buyer has likely compared at least one other alternative, and if they haven’t bought it immediately then it’s likely that they haven’t decided definitively which one to choose, and reminding them of what they have viewed is a push in your direction. But by using big data, you can anticipate consumers’ habits and market to a markedly more receptive audience.